D: mirror diameter, m. If rectangular, it is AxB. R: radius of curvature, mm. It is flat mirror if ther is no this number. It is plano-convex if it is minus. A: incidence angle, degree. It is normal incidence if there is no this number. %: tranmittance of output coupler. There are too many items and models and welcome to call us or send us an email if you have any further enquiry or question! 1. Regarding f50x3mm, 50 means diameter, 3 means thickness, unit is mm. 2. 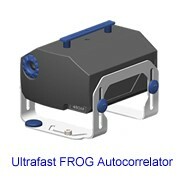 Regarding R=10%, R means reflectivity and unit is %. 3. Regarding T=10%, T means transmittance and unit is %. 4. Regarding R=50mm, R means radius of curvature and unit is mm. 5. HR1064nm means high reflectivity at 1064nm (>98%). 6. HT532nm means high transmittance at 532nm (>98%). 7. 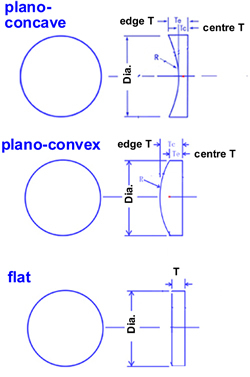 Plano-concave means that one surface is flat and another surface is concave. 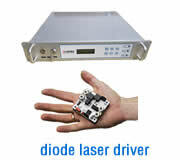 Remark: The output couplers at 1064nm can be used as the output coupler in the diode end-pumped lasers. Silicon mirrors in a huge range of sizes are available, with a selection of different coatings to suite you application. Remark: M: material; A(deg): angle of incidence; ET: edge thickness; T(%): transmission; R (%): reflectance; ROC: radius of curvature. These turning mirrors are used in CO2 laser beam delivery systems. Silicon is the most commonly used mirror substrate due to its good "figure of merit" properties. We offer them with a variety of metal and dielectric coatings. These mirrors create a 90° Phase Shift with the aid of specially constructed thin film coating layers applied to the surface, when hit with a linear polarized beam at 45° to the plane of incidence. Commonly called Phase Shifters, Polarizers, or Circular Polarizing Mirrors, they transform the incoming beam into a circular polarized state. 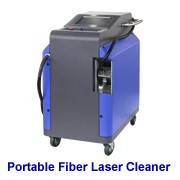 They typically are only used external to the laser cavity as a beam delivery mirror. 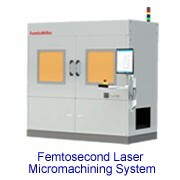 These operate only with a true 10.6µm laser wavelength and will not work at other wavelengths such as 9.2 or 9.6µm without special modifications to the thin film coating design. 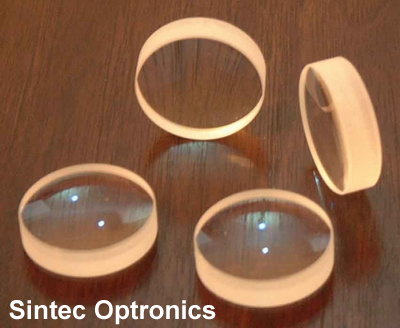 We offer non-standard wavelength Phase Retardation Reflectors at these other wavelengths as custom parts. l Coating optimized to create 90° phase shift from a linear polarized beam. 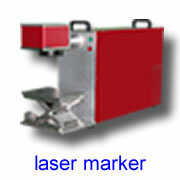 Used in beam delivery systems where cutting circles in materials is required. l Coating optimized to maintain low phase shift in beam delivery systems where a 90° phase retarder exists to maintain the circular polarization. Copper mirrors in a huge range of sizes are available, with a selection of different coatings to suite you application. Molybdenum mirrors in a huge range of sizes are available, with a selection of different coatings to suite you application. Other dimension mirrors available upon request.